Dual Shower Heads: What Are You Waiting For? 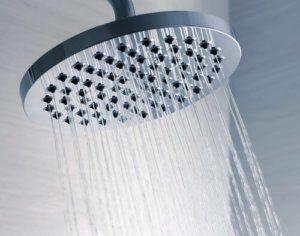 Home > Bathroom Remodeling > Blog > Dual Shower Heads: What Are You Waiting For? Most mornings, after the alarm rings, a large majority of us crawl out of bed, often thinking about that nice, warm shower before we start the day. However, do you ever find yourself cramped under the spout in your shower? Do you ever find yourself trying to find the ultimate position under the warm, soothing stream, struggling while half of your body is freezing? One solution to this inconvenience is to consider installing dual showerheads. These increasingly popular shower fixtures consist of two heads running off one pipe, allowing for more water flow that covers a larger amount of area so you never have to suffer from the shivers in your own shower. Adjustable Pressure: This means, for instance, that if you have shoulder or muscle aches, you can make the water pressure more powerful on that one side, while still keeping the other faucet at a normal level. Adjustable Shower Heads: With this style, the two showerheads can be adjusted to any angle, similar to any traditional shower so that you can choose where you want the water situated. Massaging Shower Heads: Some styles boast spa-like massaging features, where each showerhead can be adjusted to pulsate at various settings. A successful bathroom-remodeling project can have a major impact on your home. It can even help you enjoy your own spa-like atmosphere right in the comfort of your own property. If you are looking for a bathroom remodeling company in Phoenix, call Republic West Remodeling today.